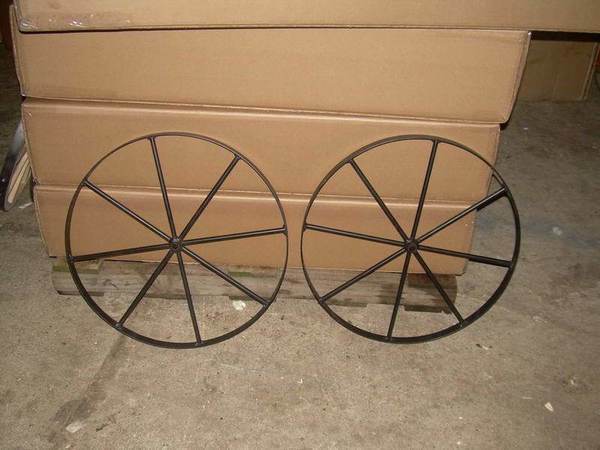 Add some country flair to your outdoor space with our Amish Metal Buggy Wheel. With a 24" Diameter, this piece is eye catching and will draw attention to your garden. Having a buggy wheel or two in your backyard will add an interesting element that will never get old. In fact, the quality of these wheels means they actually won't get old! You'll be amazed by the attention to detail that will allow you to enjoy your Amish Metal Buggy Wheel for many seasons.